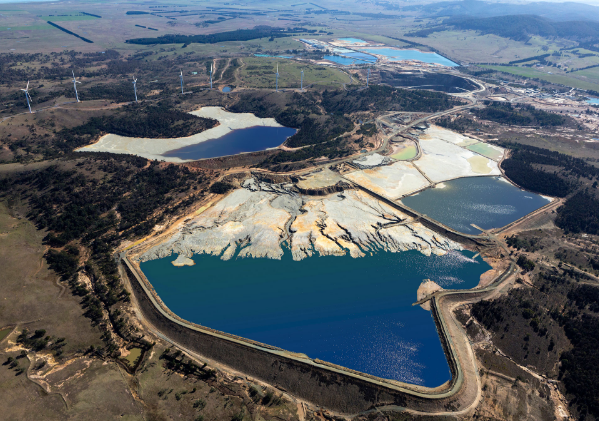 Aspiring miner Heron Resources has commenced construction of its wholly owned Woodlawn Zinc-Copper Project located 250km southwest of Sydney after securing a $240 million package earlier this month. According to the company, construction of the1.5Mtpa processing plant and associated infrastructure is expected to take about 15 months with commissioning in late 2018 ahead of first production in early 2019. Commenting on the ground breaking ceremony that was attended by federal and local government representatives, Heron’s Managing Director Wayne Taylor said the project will provide about 250 jobs during the construction phase with more than 150 permanent jobs to support the ongoing operations. “Today’s ground breaking at Woodlawn marks a major milestone in Heron’s journey form a developer toward becoming a long term, low cost and profitable base metal producer,” he said, adding that the company was committed to sourcing its workforce from the region as well as utilising local suppliers throughout its construction and operations. “The commencement of construction is the culmination of many years hard work by our team and would not be possible without the support of our shareholders, financiers and the local community,” Mr Taylor continued. Once operational, the plant will have the capacity to produce 40,000tpa of zinc, 10,000tpa of copper and 12,000tpa of lead in concentrates which are planned to be exported from Port Kembla and/or Port Botany.